"Thank you to the team for all your help, advice and continued support with our complex website! We love the fact you don’t speak to us in IT jargon and we always come away feeling in safe hands!" Letterhead design for a bookkeeper in Cradley to match the business cards we designed for her. 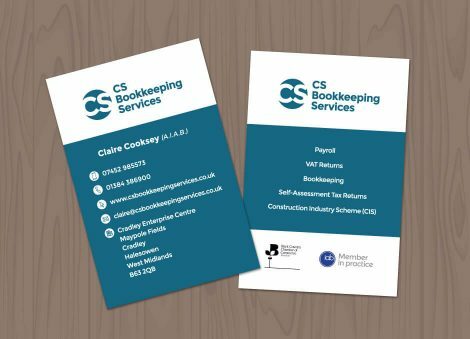 Design and print of business cards for a bookkeeper in Stourbridge. 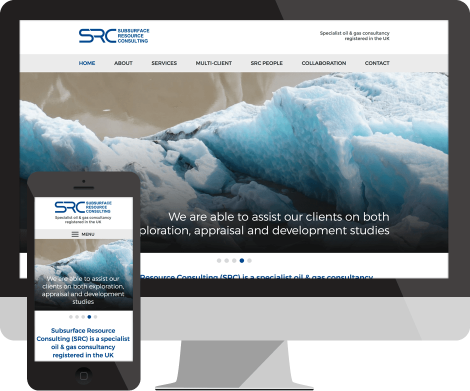 Brand new website design and build for Subsurface Resource Consulting (SRC). 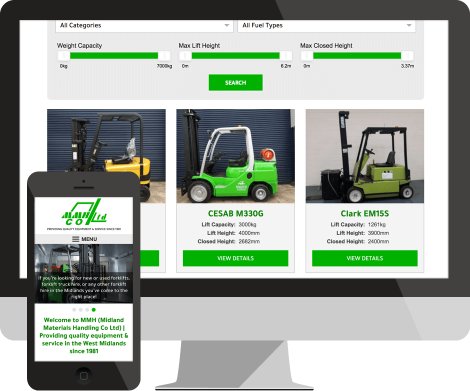 Website redesign with Content Management System, and forklift listings. "Throughout the process both Elaine & Ben were most professional. I would recommend GETSITED as a great company to create a website." "Right from the beginning, it was a pleasure to deal with Elaine and she worked with real passion until the final result was just perfect! I would not hesitate to recommend GetSited." "Brilliant and lovely people to work with! Their advice was brilliant and but didn’t push me into anything and taught me how to manage it myself. I took their advice all day long! Highly recommended!!!" Design and print of A5 flyer leaflets for The Bearing Site. 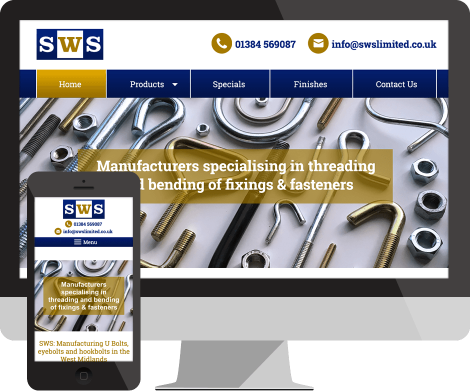 A mobile-friendly website with downloads area, offering experienced commercial support for manufacturing businesses. Design and print of leaflets for a cleaning company in Stourbridge. The design matches the website and business cards we designed for them. Design and print of business cards for a cleaning company in Stourbridge. The design matches the website we designed them earlier this year. "Elaine has been amazing from start to finish of this project. Customer service has been professional and consistent throughout. I'm totally in love with my company website it's so bright and fresh looking. Highly recommend GetSited for a 5* service and a reasonable price." Logo redesign for a domestic cleaning company based in Stourbridge. Advert design for What’s What magazine, to advertise a primary school and match the website design we created for them. "GetSited were keen and efficient and even solved a few problems that were left me from previous web developing disasters! Ben and Elaine really know their stuff and I would highly recommend them to anyone." "I am a bit clueless about websites but GetSited advised me on everything from colour and font to content and pages. The website they created for me has had great feedback from my customers. Highly recommended!" A5 flyer design and print for RS Miller Roofing in Brierley Hill. Design and print of double sided business cards for a wedding videographer in the West Midlands. Dan at DG Wedding Videos will film your wedding in an unobtrusive way and edit the video together to make a professional and memorable video of your big day. "GetSited offer an excellent personal and bespoke service to the customer. I was very thankful of their help and professional attitude and I would recommend GetSited to other schools looking to revamp their websites." Logo design for a bookkeeper in Stourbridge. Design and print of To Let boards for a property management company in Birmingham, using the branding we designed and to match their printed items. Design and print of letterheads and matching stationery. Design and print of business cards and matching stationery for a Lettings Agency in Harborne, Birmingham. Design and print of A6 flyers for a Harborne lettings agency. Ideal for letterbox drops and handing out. Logo design for JPTaylor Surveyors and Property Managers Ltd in Birmingham. The J and T in the logo slope like a roof to reflect that this company specialises in property and the lettings market. We designed some PDF brochures for a Chartered Surveyor and Property Managing company in Harborne, Birmingham. The Bearing Site is a website that connects buyers and suppliers with bearing and power transmission stockists all over the world. Logo design for a bearings website. "I found GetSited listened to my needs and they suggested ideas that would work best for my business. I was kept informed at each stage and they continued good lines of communication throughout the process. They gave clear explanations and I was very happy with the final result." "GetSited produced a website that is easy to navigate, is clear and concise and has a very modern feel. GetSited staff were very helpful and have produced a great website." "Thank you so much for the fantastic website you created for my online shop! The after help is fantastic too, and if I ever have a question, I always get a quick and friendly response." "GetSited have provided us with a high quality personal service that had a rapid turnaround time. The website interface is clear, easy to navigate and easily maintained with the CMS, which allows us to make small or large content changes whenever we need them and at no extra cost." "I was very impressed in what Elaine designed and from there on everything ran like clockwork, I could not fault them. GetSited have totally transformed my company's website and I would have no hesitation in recommending them to anyone." 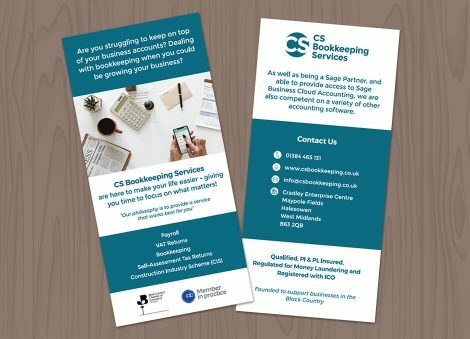 Business card design to match the letterheads and website we’ve recently designed for Sean at Next Steps Learning & Development in Kidderminster. 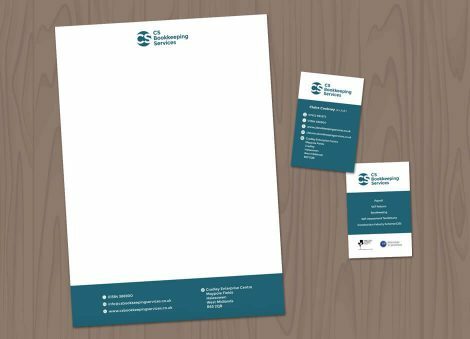 We created these letterheads to match the rest of Next Steps Learning’s stationery, using the logo and colour theme that we designed. "I found the experience of working with Getsited to be a very positive one throughout the process of designing my website. The process was not rushed and I was always kept up to date with progress. I would certainly recommend them." Logo refresh for Next Steps Learning & Development. "I would highly recommend GetSited to anybody looking for a new website; they have been professional, friendly, and approachable every step of the way. Definitely a 5-Star effort!" "What I loved about GetSited was the personal service they offered. We feel we had an exceptional service and the product delivered to a very high standard. We would strongly recommend using GetSited they were amazing." Double sided business cards for a wedding and prom dress shop in Stourbridge. The back has a faded photo on that can be written on, eg appointments and notes about dresses. Design and print of A5 flyers for Petticoat Boutique in Stourbridge. We designed this large sign for Industrial Fans and Services’ unit on Lye Industrial Estate. We used their existing branding colours to match the website we created for them, with the bright red really standing out against the black to passing traffic. Simple logo design for a British sculptor. Design and print of glossy A4 flyers for Clarydon. Design and print of glossy A4 brochures for Kasdon. "I was very happy to receive a recommendation for GetSited. From the outset we felt we were in safe hands. Happy to recommend the GetSited Team." Kasdon Electronics logo refresh, to reflect a more modern look. Exhibition Stands for Kasdon Electronics and Clarydon Electronic Services. PCB assembly and manufacturing sister companies in the West Midlands. Matt-laminated business cards for a hairdressing salon in Wollaston. The cards have room on the back for appointments to be written in. 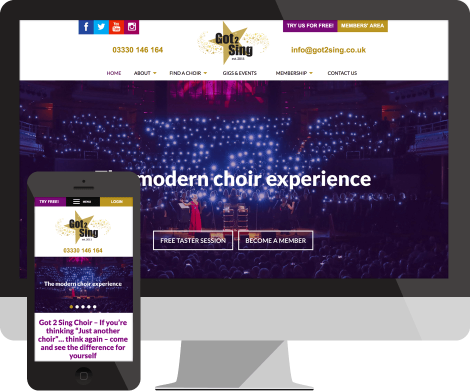 "GetSited were professional and in-tune with our website requirements straight from our initial meeting. 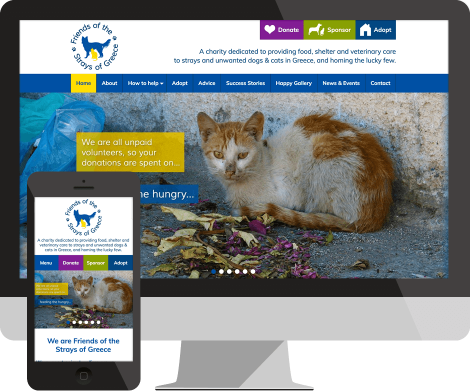 They have created a clean and modern website which we are delighted with. I would highly recommend GetSited to anyone looking to have a website created." Design and print of 250 leaflets for a holistic massage therapist in Stourbridge. We redesigned Church Street Dental Practice’s website and made it responsive so it works across mobile devices. The dentists are able to update the website themselves through the CMS. Responsive website design and build for Yew Tree Dentist in Walsall. This website’s brief was for the design to be similar to the dental practice’s sister practice, Church Street Dental. 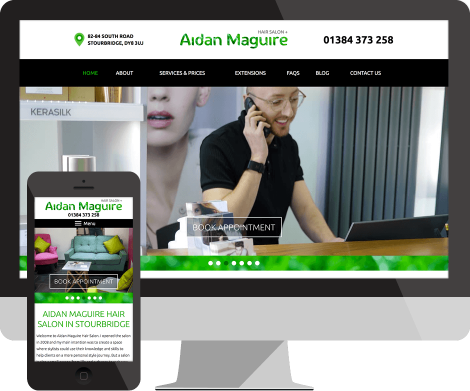 Responsive website (mobile-friendly) for Iron Design Midlands in Halesowen. Logo design for a dental practice in the West Midlands. "We are very happy with our new and contemporary website, Elaine has a good eye for style and she and Ben worked closely with us to produce the vibrant website we have now. The website was produced very quickly and to a high standard, and all edits we wished to make were done the same day. Thank you again." Design and print of business cards for a seller of firewood in Kidderminster. Logo design for a man who sells firewood. The logo is made to look like it’s been burnt onto wood. Full Throttle Raceway logo to go with the new website we’ve created. "Great communication, efficient, friendly and a great product at the end. What GetSited promise you is what you get!! Would and will highly recommend to everybody." "Getsited have worked efficiently on our behalf. They have contacted us to understand our needs and kept us informed as to the progress of the website. The websites have a very appealing presentation and have already started to create interest." "The banners have arrived and look amazing! Thanks for the leaflets too - it all looks great!" Business card design for a beer bottling company in Dudley, West Midlands. Graphic design for Holden’s magazine adverts that were sent off to be printed in a magazine. Design and print of double sided flyers for Holden’s Bottling. Business card design and print on luxury matt-laminated card, for a building company in Stourbridge, West Midlands. We redesigned their existing cards which needed more information adding and arranging in such a way that it’s all easily seen at a glance. We can print on a variety of cards, please ask us for details. "Super fabulous! An awesome job thank you!" "Not only does GetSited have a great customer service, but also a great after sales service giving great advice on how to advance further on the internet and help where required. An easy, comfortable and stress free process. 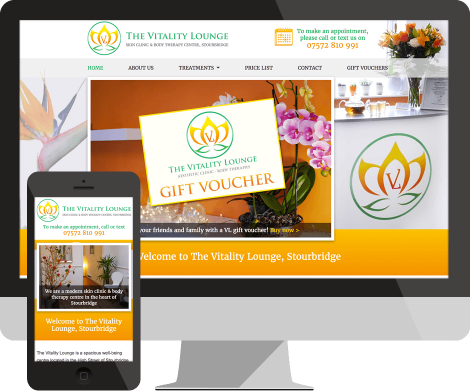 I would have no hesitation in recommending GetSited to any one looking to have a website built." Double sided business cards design and print for an electrical company in Brierley Hill. Logo design for an electrician based in Pensnett, near Stourbridge. The negative space in the C was used to create an electrical plug icon. "GetSited deliver faultlessly and furthermore go the extra mile, this is rare. Their communication is excellent and I would recommend them to anyone whether that's for a new website or updating an old and tired one." Pop up banners for an exhibition in Stratford. Design and printing of trifold leaflets for Harbe in Stourbridge. Clare is a hypnotherapist based in Worcester. She had no existing website and wanted a small site she could update herself, using relaxing blues and greens as a theme. We designed and built this mobile-friendly ‘responsive design’ website for The Dormston Centre in Sedgley. It has a Content Management System so they have full control over text and images, and can add news, events and educational courses. We also set up their Facebook and Twitter pages, which automatically feed to the website’s homepage. "GetSited understood what we were trying to achieve even when we didn’t as we had never had a website designed before. We have had numerous comments from our clients saying how professional it looks and how user friendly it is." Logo design for a makeup artist to go along with his website we created. 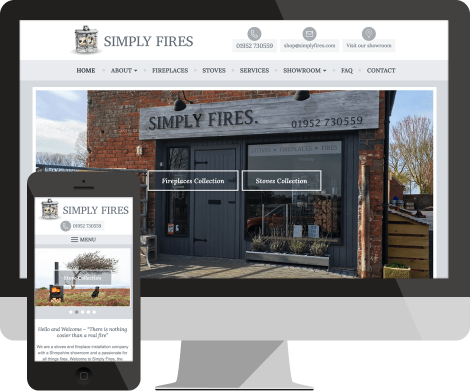 Responsive website for an online fireplace accessories shop. "Can't speak highly enough of Ben and Elaine at GetSited. From the outset we felt we were in safe hands. Our options were explained clearly in a language we understood. We are delighted with the finished site and most importantly the results." The Portable Skittle Alley needed a website redesign and the ability to update their website themselves. We gave their website a completely new look that reflects their business, using the wooden alleys as inspiration for the design scheme. They can easily update their website’s text and images using the CMS (Content Management System). "Elaine and Ben were a pleasure to work with, providing quick and knowledgeable solutions to any issues we had. All of our requests were met in a timely manner and we found the personal service a huge positive of the experience." We redesigned the Beckbury C of E Primary School website and added our own custom-built Content Management System so the school can easily update their website themselves. "Communication was excellent from the beginning to the end. We are extremely pleased with the outcome and the cost! We would not hesitate in recommending GetSited to any company thinking of setting up a website. First class service!!" Business card design for a Mezzanine flooring company in Stourbridge. "Through their focused approach, research, detail and hard work GetSited created a great website which I believe has set me apart from my competition. I have received numerous enquiries and orders. I would recommend GetSited to anyone." Logo identity for a mezzanine flooring specialist in the West Midlands. Double-sided flyer design and print for a mezzanine flooring company near Birmingham. "Our experience of GetSited has been fab! We would recommend anyone interested in getting a new website to just do it! We have had websites done for us before and never has it been this easy. Would certainly recommend them." "The GetSited team worked extremely professionally from the outset. They listened to my brief and came up with some excellent design ideas. I found the CMS very intuitive, making page changes very simple. I can wholeheartedly recommend GetSited to you." Logo design with a ‘help’ theme. MB Distribution Ltd are a logistics company based in Cradley Heath and provide freight forwarding and storage solutions throughout the UK and internationally. 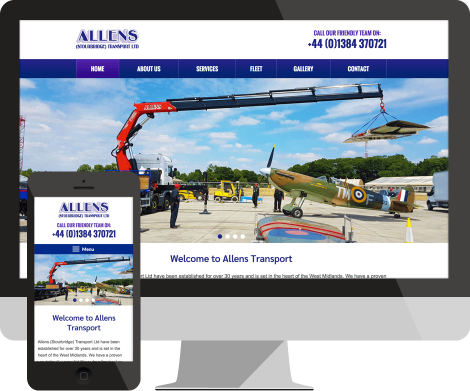 They wanted their existing website redesigned to show more clearly their 3 main services, and a Content Management System added to give them control over their new website’s content. "Communication from the team has been excellent and the process of developing content for the site was a very smooth one. We are very pleased with the end result. Many thanks GetSited." "I had no idea of how to translate what I wanted into a website but Elaine took the brief and made a site which I can only describe as the best Pilates website I've ever seen. I could not have wished for a better site or more pleasant and professional people to work with. Highly recommended from start to finish." "GetSited is a Web design service that Elaine and Ben should be very proud of. They went that extra mile to ensure that everything was perfect and even now give us support and advice when we need it." Branding for a rabbit rescue website. "Throughout the entire process the team have only been too happy to help and have had excellent communication with me throughout. I am over the moon at the final outcome and would like to say a big thank you to GetSited!" "We have a very good relationship with our website designer who communicated well with us, jargon free. The site itself has been commented on by customers and friends alike as being excellent, clear and eye catching, informative and easy to use." Website design and build for a discount furniture shop in Birmingham. Logo design for an online car search website. "I'm really pleased with the look and feel of my website. It's easy to navigate so customers can quickly see what services I provide and get in touch. I like how I can easily update my own website using the CMS and I get a lot of enquiries through the website." Double-sided business card design for print for an electrician. Logo design for an electrician. Branding for an online vintage clothing store in the UK. Business card design and print for a vintage clothes company in the UK. "I have had so many brilliant comments about my website and it is all thanks to Elaine and Ben's hard work and expert knowledge. The overall service I received was second to none and I would happily recommend them to anyone who is looking to have a website created." Business card design for a plumbing and heating engineer in Stourbridge, West Midlands. An advert for a sash window company to be printed in a magazine.